A new study published in the journal Science suggests that humans might have played a significant part in the sudden deforestation of rainforests from Central Africa. This work contradicts the prevailing view that the expansion of farming practices was the root cause as well as the increased incidence of long, severe dry spells. Germain Bayon, a geochemist at the French Research Institute for Exploration of the Sea in Plouzané, and his colleagues examined the weathering of sediment samples that were drawn from the mouth of the Congo River. Deforestation intensifies weathering; therefore the clay samples would provide a continuous record of the climate for the past 40,000 years. The sediment cores revealed that 3,000 years ago, there was a complete decoupling between rainfall and the rate of weathering. 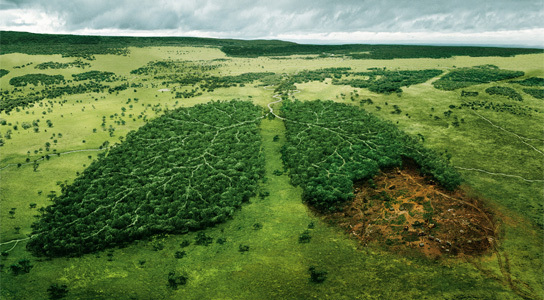 Bayon says that this indicates that the climate alone could not be a factor to explain this deforestation. The research team suggests that the Bantu-speaking people from present-day Nigeria and Cameroon, known to have emigrated across Central Africa 4,000 years ago, had an impact on the rainforest, since they cleared land for farming and iron smelting. Other researchers are skeptical that humans could have destroyed such large areas of forest using primitive tools. Even with today’s technology, it could be problematic to create such large areas of deforestation. Alfred Ngomanda, director of the Research Institute of Tropical Ecology in Libreville, Gabon, believes that Bantu farmers played a role in accelerating local forest degradation. The study raises some questions about to which extent deforestation and other human activities might exacerbate the effects of climate change. 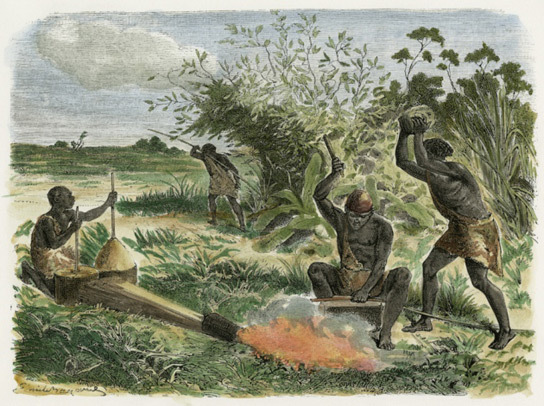 3 Comments on "Humans Implicated in Africa’s Deforestation 3,000 Years Ago"
Deforestation is not a good thing.